You can call us at (313) 521-1888 or click the button below to send us a message. Frank Wright Glass can provide a large variety of edges on your custom glass work. If it isn't Wright, it isn't right. 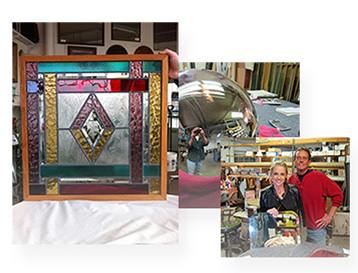 Frank Wright Glass Company has offered quality custom glass work for more than Eighty Years. We specialize in beveling, resilvering, restoring mirrors, antique glass, crystal repair, bath enclosures, and tables. Find out why Frank Wright Glass is one of the most highly respected companies in their field. A Metropolitan Detroit business group.